Personality Analysis in Gaming: An underused effect | The Dev in the Red Hat! A key cause of patchy data collection is the game environment. It’s a totally situational variable, dependent on the player’s surroundings at the time. The surroundings can affect nearly every user response. If you’re an introverted personality who would rather curl up with a book than go to the pub, that’s the obvious choice you’d think you would make when given the in-game option. However, depending on the environment and people present (Are you at a party? Is your girlfriend watching? etc. ), the same user may potentially pick the “safer” option, to avoid being viewed in a “negative” light. Remember when games were about rescuing princesses — not cheating on your spouse. While playing a videogame, we are typically exploring a fantasy world. I think as players, we feel assaulted when a game very openly asks for our personal opinions or thoughts. Take Catherine for example. 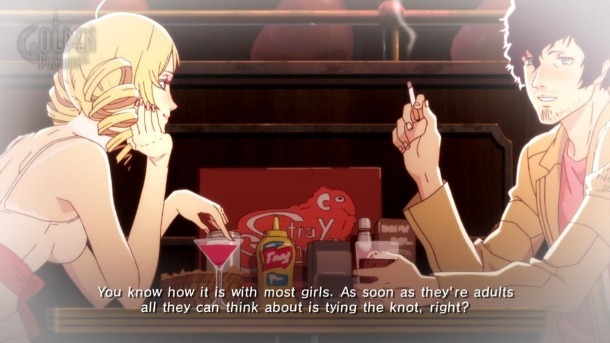 The theme of Catherine is infidelity. The lead character, Vincent, learns that his girlfriend Katherine, is pregnant. This sends the commitment-phobic hero into an internalized panic as he tries to come to terms with this new direction he’ll likely be forced to take. One night while drinking with his pals at a bar, Vincent passes out and awakens alongside the incredibly beautiful Catherine, a bubbly blonde who seems to be the polar opposite of his own Katherine. 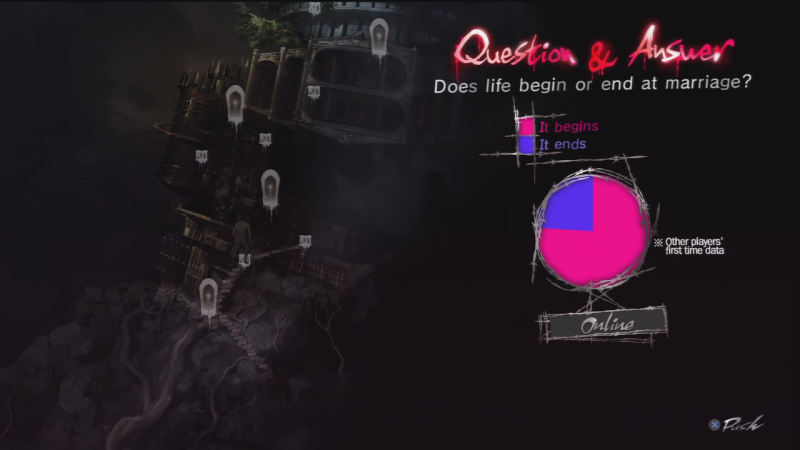 The gameplay takes place inside Vincent’s dreams as he confronts his darkest inner demons which force him to choose the direction he wants to take in life. What the game Catherine does really well is present Vincent as character with his own thoughts, hopes, dreams and fears, while leaving out just enough detail to allow the player the opportunity to inject a little bit of their own personality into the game and, by extension, into Vincent’s choices. My own experience with Catherine left me quite curious about the nature of personality analysis in gaming. While playing Catherine on my PS3, curled up on the couch alongside my wife (who may or may not at any given time be paying attention), I would find myself unwaveringly making the “Nice” or “Good” decision. Would you cheat on your partner? “Like hell I would!” I’d exclaim and hammer the stick in the opposite direction. Does the concept of becoming a father scare you? “Never! I have a child on the way… !” Silly game. Now, for the interesting part: When playing Catherine while sitting next to my wife in the living room, my “moral bar” was almost always bang up there in the “Nice Guy” area; however, when she would go to bed and I was playing with no onlookers, I would notice that by the time I’d finished that session, the moral bar would have come down quite considerably. Not only was I making more “Bad” decisions without my wife present, but the time it was taking me to make decisions had also increased dramatically. This started to get me thinking, “Am I a horrible dirt bag? Is that what this game is telling me?” No, I realised. 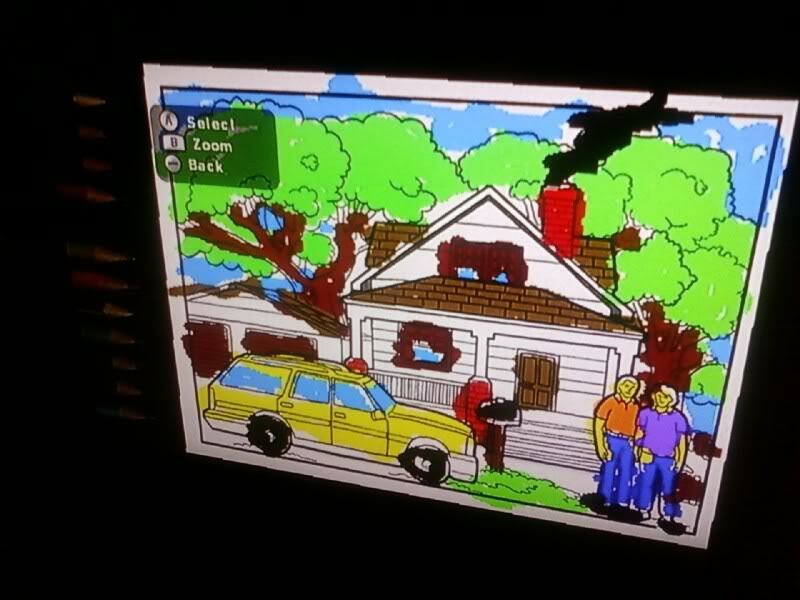 Sure, this is a game, a fantasy world that allowed me to make decisions devoid of real life consequences. Still, I found this simplistic use of personality analysis fascinating, even if the results were not very accurate, given that my results could be easily swayed by the environment — or lack of wife in the room. The thing that Catherine is missing is implicit data gathering. It would be more interesting if Catherine had data from your social networks to compare results against “pure data” from times when not under the pressure of a given situation or environment. In Catherine, as in any data collection, accuracy depends on your most honest input. Getting feedback this honest in a fantasy world can be pretty tough. The more nuances of emotion, preferences, behaviors that can be captured, the stronger the application of SA to games in all different genres. It’s all personal! Sentiment analysis could be very powerful even in modern day shooters like Call of Duty. COD is treated by many of its evangelists like a competitive sport. Imagine the use of player MindPrints, not simple things like a kill/ death ratio or favorite map, but personality type. Does this player swear a lot? Do they talk about the game much on their social networks? Are their tweets generally happy or angry? Do they exclaim their victories (or defeats) online? 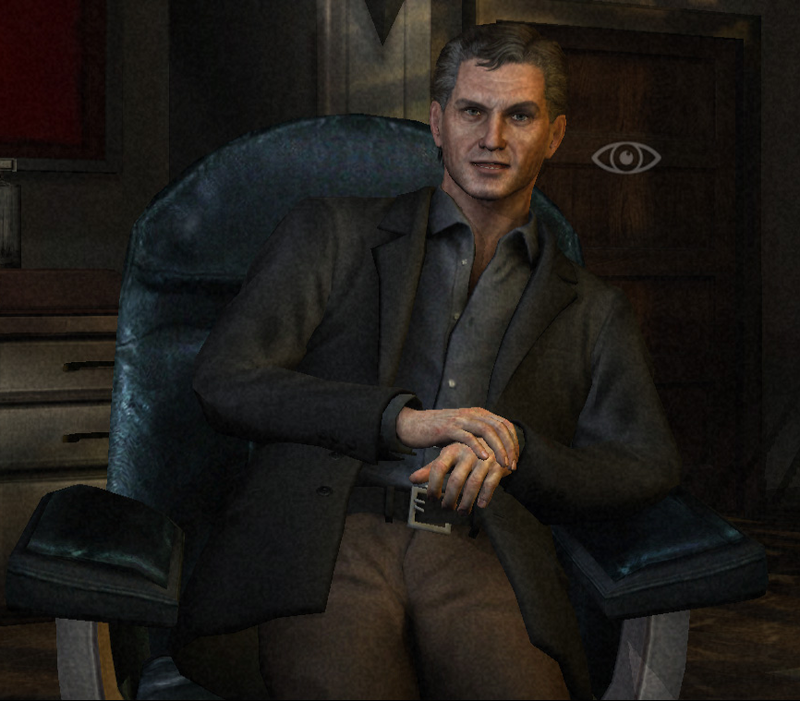 Silent Hill: Shattered Memories uses probably the best personality analysis I’ve seen in a game to date. It doesn’t simply present you with a series of questions. Instead it studies your behavior and interactions during the game and correlates that against data obtained through “psych tests” at different points of the journey. During the end credits, the player is presented with their report card which explains the computer’s reasoning. In Shattered Memories during this psych test, the colors you choose will be reflected within the game world. Most people I know who have played Shattered Memories say that the result (when played honestly) is scarily accurate. But imagine the type of data you could get if elements of sentiment analysis were used. Referencing family members names, you could playing on fears: If you talk about your family a lot online, the game throws out more family-based problems. Maybe the game could reward the player with different options based on their online persona, also identified through sentiment analysis. Another survival horror title, Jasper Byrne’s Lone Survivor (which I recently gave a glowing review) does something similar to Shattered Memories. At the end of the game, you’re presented with a psych evaluation based on your decisions throughout. Did you take a lot of pills to make the game easier? Then you might be susceptible to becoming a drug addict… It’s obviously not foolproof, but it’s a start. By linking these personality tests with sentiment analysis, game designers can deliver a more connected and personal experience. I’m really eager to see what role sentiment analysis takes in more traditional games. Posted on May 15, 2012, in AAA, Horror Games, Observations and tagged analysis, catherine, games, hill, personality, sentiment, shattered, silent. Bookmark the permalink. 3 Comments. This sounds amazing, and reminds me of a mechanic I had hoped would happen at the end of Persona 4. In Persona 4, before becoming playable each of the characters fights their shadow (a manifestation of a repressed aspect of their personality). Everyone except the protagonist. I had hoped that the ending would actually involve revealing his shadow, having the protagonist face a shadow which would be based on a flaw the game had determined from the way you’d played the game until that point. But it’s an idea I’ve always found interesting, and connecting it to social media can only expand it. Though with the hot button of privacy it might need an option to remove it for some people, unfortunately that’d ruin the element of surprise.